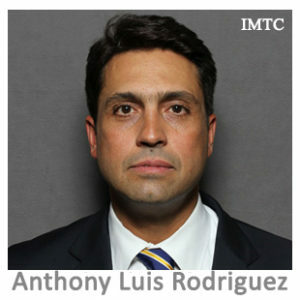 Anthony Luis Rodriguez is a Certified Public Accountant (CPA), Certified Anti-Money Laundering (CAMS) Specialist and Certified International Privacy Professional (CIPP/E & CIPP/M) and currently the Chief Global Compliance and Data Protection Officer for AFEX, a global payment and risk management solution provider. Anthony is a senior executive leader with over 20 years of experience in the financial services industry, leading complex global compliance initiatives, audits/validations, and the implementation of technologies throughout North America, Asia Pacific and EMEA. Over the years, he has developed comprehensive skills in global economic sanctions, anti-money laundering, privacy, data protection, international regulatory compliance and enterprise risk management. Currently Anthony is a member of the Advisory Board of the Henry C. Lee College of Criminal Justice and Forensic Sciences at the University of New Haven, as well as, the ACAMS Advisory Board representing the MSB industry. He is also currently a board member of a non-for-profit Operation Warrior Shield, http://operationwarriorshield.com/.